Everyone deserves something special for Valentine's Day. 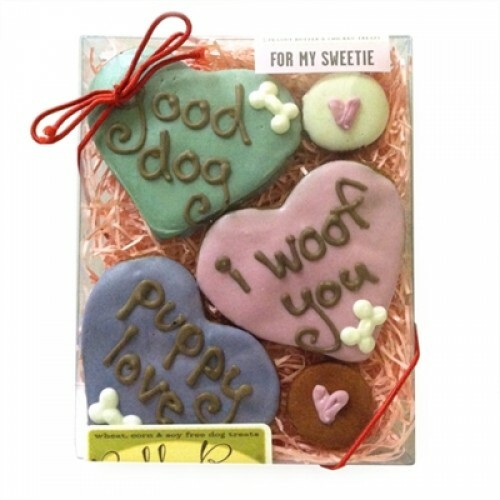 Give your fur-baby a speical treat for the day. A box of peanut butter cinnamon hearts are sure to make them feel special on Valentine's Day. Hearts are assorted. Ingredients: organic oat flour, organic brown rice flour, peanut butter, organic chicken broth, honey, eggs, vegetable coloring, peanut oil and cinnamon. Topped with yogurt coating, organic seasame seeds and organic coconut. We use cage-free eggs & free-range chicken!